Bill thrives on complex commercial litigation and multi-party lawsuits. He has recovered a significant amount on behalf of clients prosecuting claims ranging from fraudulent investments to genetically modified crops. On the defense side, Bill has successfully defended cases with claimed damages exceeding several hundred million dollars. Over the years, Bill has developed a diverse commercial litigation practice, earning a reputation as a creative and effective deal-maker in even the most vehemently disputed lawsuits. 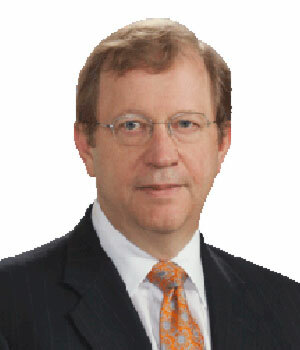 He has represented debtors, creditors, and trustees in bankruptcy cases and adversary proceedings, and has also represented companies seeking to resolve creditor disputes to avoid filing bankruptcy. Bill also enjoys working with investors who want to establish new ventures or enter into general business transactions. Represented former hedge fund executive in claims asserted between executive and the fund. Tried the case to verdict. Represented state agency in discrimination claims involving Federal Low Income Housing Tax Credit allocation program. Tried case to court. Represented clients in litigation involving cutting edge electronic discovery issues. Represented realty owner in dispute over ownership of oil and gas mineral rights. Represented defendant in action for theft of proprietary information and breach of confidentiality agreement. General representation of debtors and creditors, bankruptcy proceedings and avoidance adversary proceedings. Represented bankruptcy trustee in pursuit of equitable subordination claim against equity/debt holders. Represented plaintiffs in obtaining a class action securities settlement relating to fraud in real estate limited partnership offerings. Represented investors in tax shelter, securities litigation against major brokerage firm and obtained a settlement. Defended international investment banking firm in complex litigation involving fraud in securitized commercial mortgage transactions. Represented securities clients of brokerage firm for unauthorized trading. Represented bank customer in claims against bank and securities trading affiliate. Represented rice farmers, mills and exporters in litigation involving contamination of United States long grain rice supplies with genetically modified rice variety developed by international chemical and agricultural company; court appointed member of Federal Court, Multi-District Plaintiffs’ Executive Committee in litigation involving that contamination. Tried 4 bellwether trials for farmers in these proceedings, 3 of which tried to verdict. Represented aircraft maintenance and repair firm in litigation with former director over alleged oral indemnification agreement. Represented aircraft owner in bankruptcy of lessee/freight company. Represented various investors in purchases of assets from bankruptcy proceedings, including patents and aircraft maintenance and repair facilities. Counsel to non-profit corporation on a variety of litigation and non-litigation business negotiation matters. Represented investors in aviation and related investments.